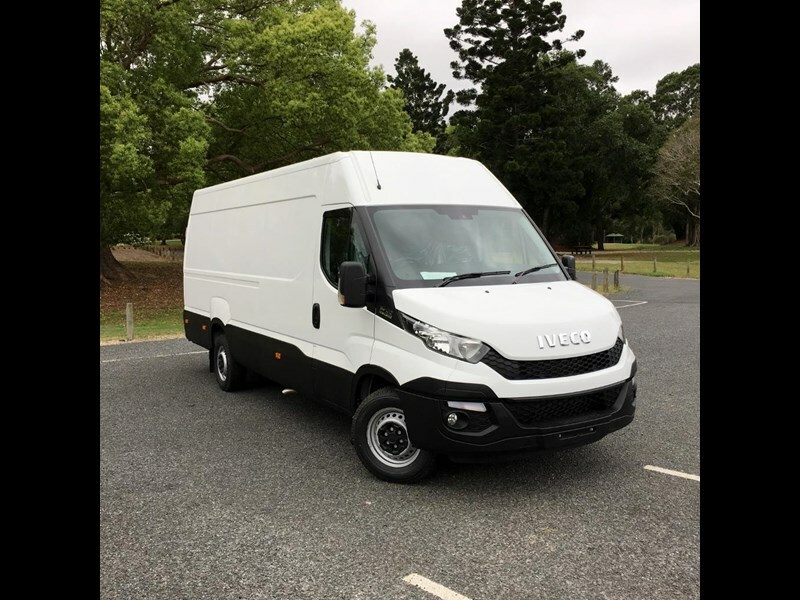 Iveco Daily 35S17A8 Van with 16 cubic metre capacity, automatic transmission and 170hp 3 litre engine. 2017 Plate save over $10,000!! 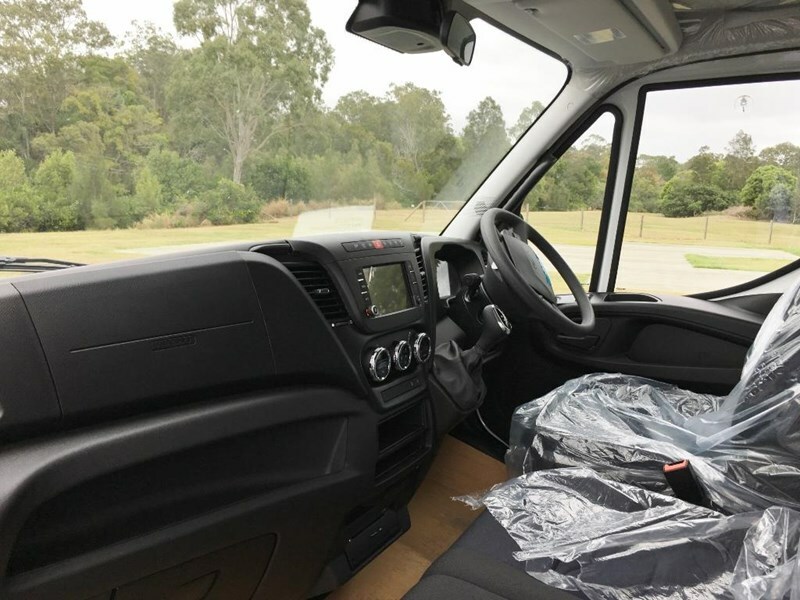 Comes with fully suspended drivers seat with armrest and 2 passenger bench seat with plenty of secured storage underneath the bench. With class-leading payload, volume capacity, power and torque. 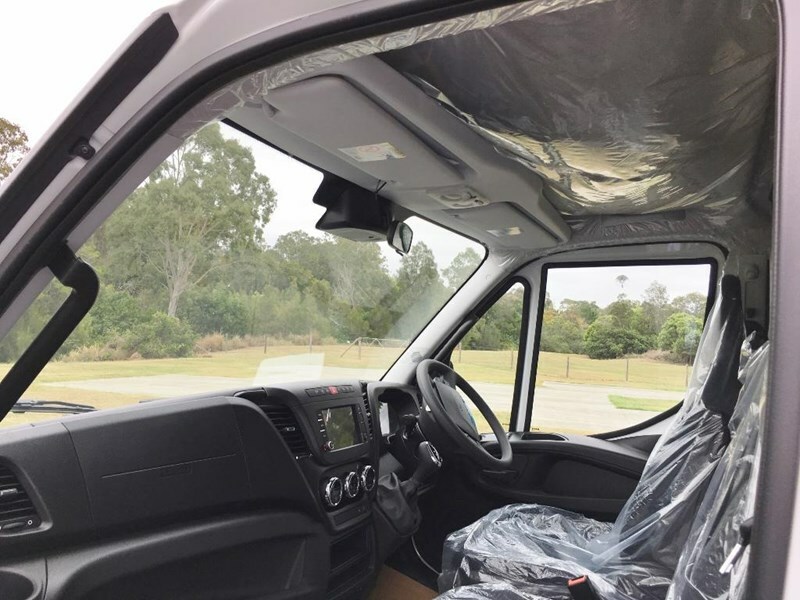 its no surprise that the new Iveco Daily was recently awarded 2015 International van of the Year. 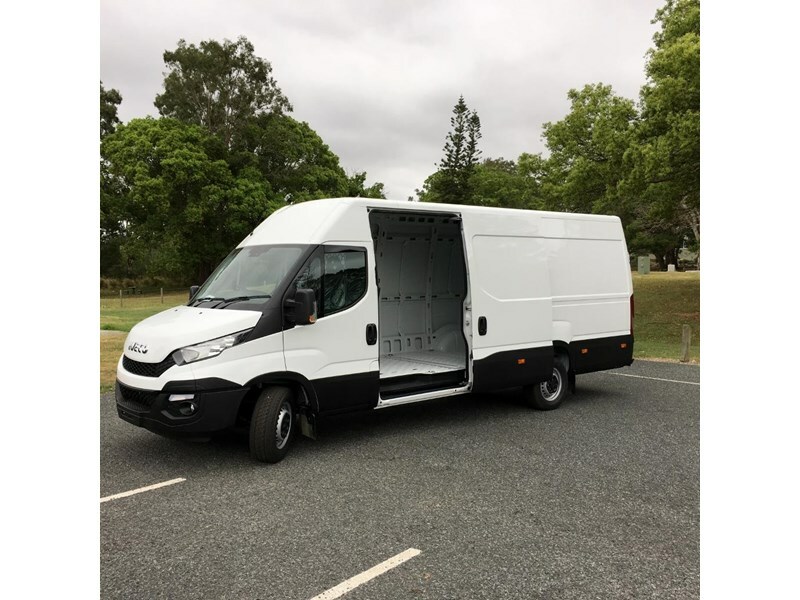 The Daily Van is extremely versatile offering unrivalled strength and loading capacity while having the driving characteristics of a car. 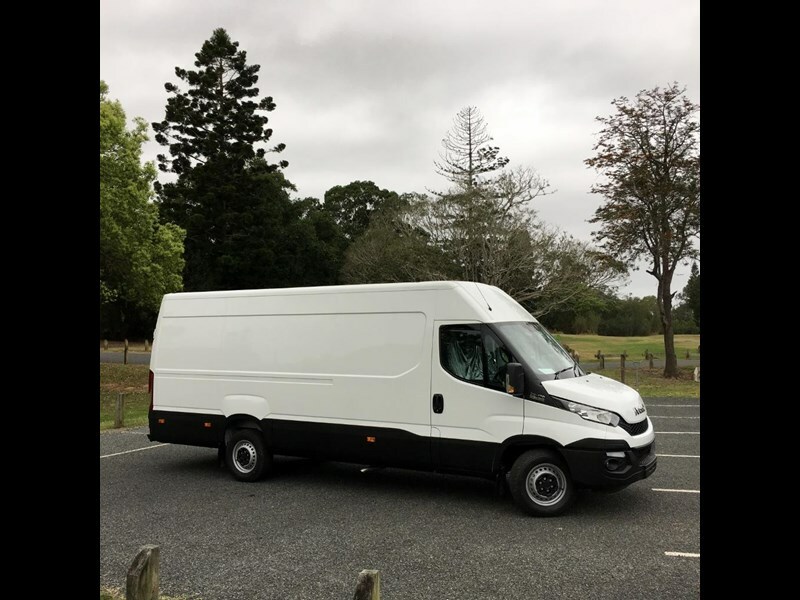 The Daily Van range punches well above its weight with its two main model variants, all can be driven on a standard car licence. 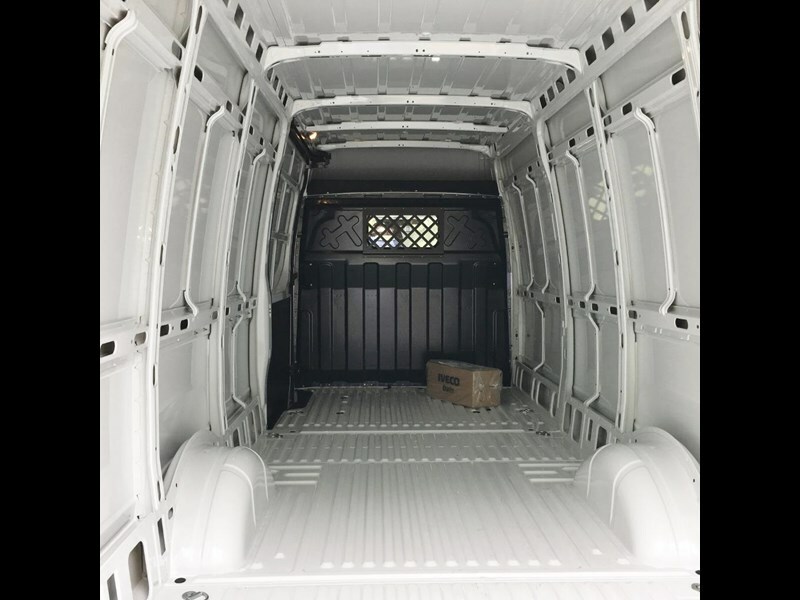 Loading is made easy with a large side sliding door and a 1900mm roof height. The rear loading platform has also been lowered by 55mm over the previous model to make loading and unloading even easier. 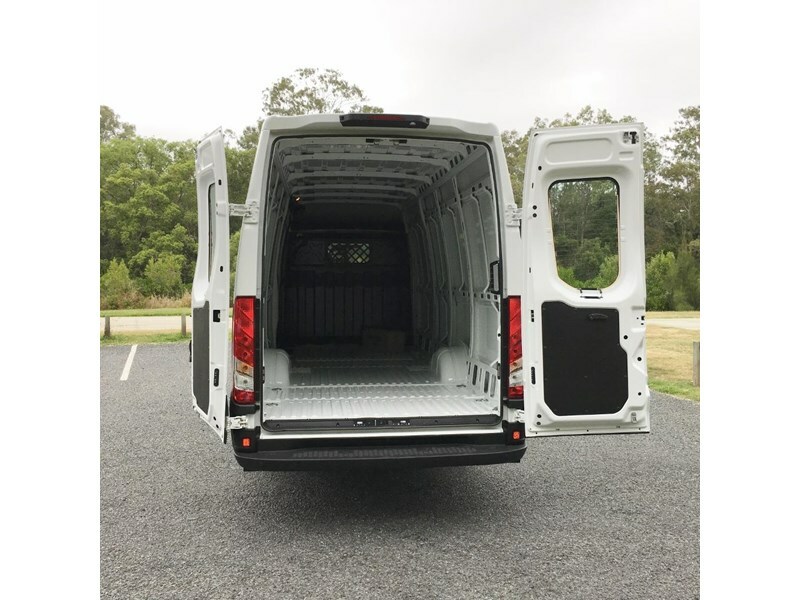 A cost option with most other van manufacturers, the Daily Van has double-hinged 270° opening rear doors fitted to every van as standard. 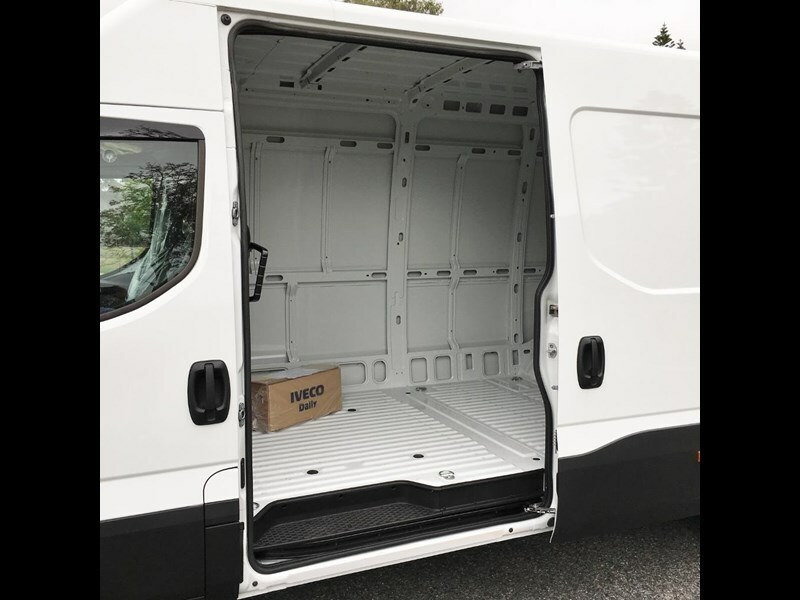 This allows the doors to be opened almost flat against the body, which is ideal when loading and unloading in confined spaces. 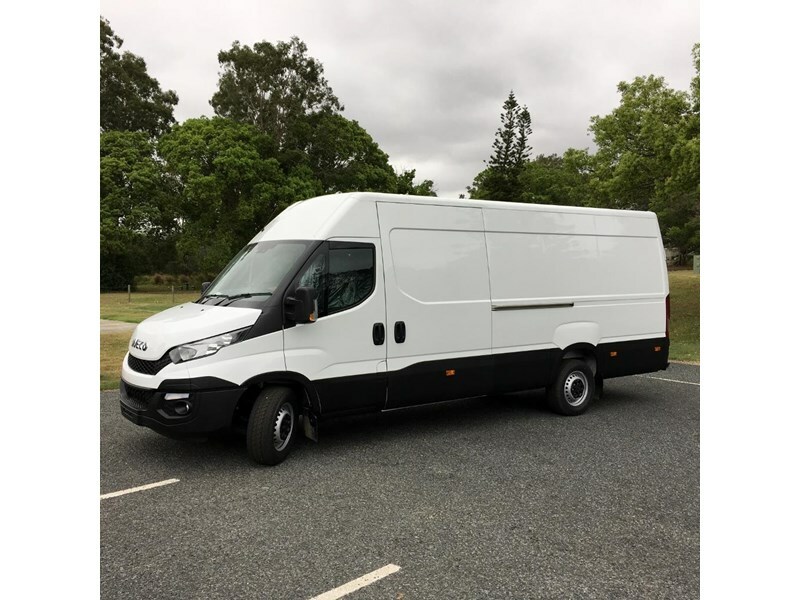 Powering this model is a two core 3 litre direct-injection Iveco diesel engine delivering market-leading power and torque outputs. The 3 litre powerplant features a turbocharger with wastegate and intercooler producing 170hp / 127kW, torque is rated a 430Nm. In addition to these engines impressive power and torque figures, the latest Daily range is also more fuel efficient than the previous generation by approximately 4.1% thanks to adoption of low friction piston rings, use of high-grade, low viscosity lubricants and reduced drag coefficient for van models. 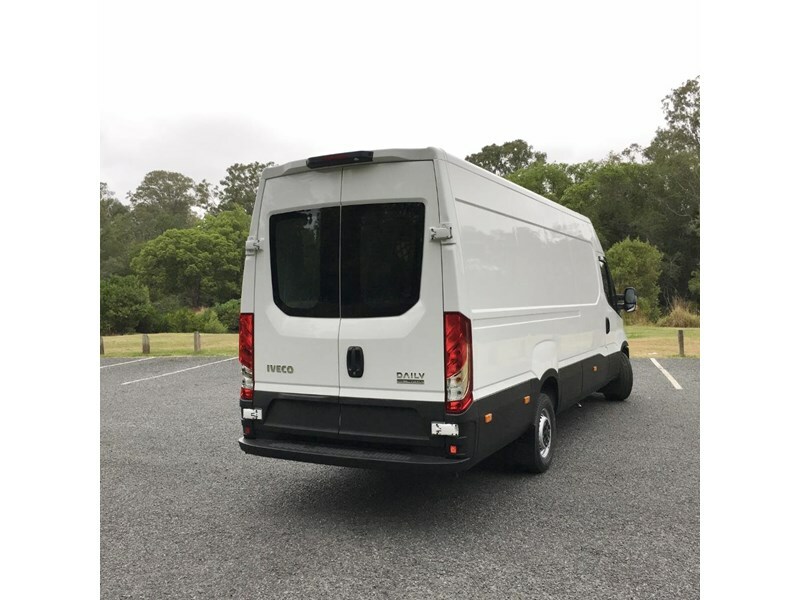 While some light commercial vehicle competitors provide a front disc / rear drum brake set-up, the new Daily provides the superior stopping power of disc brakes all-round. 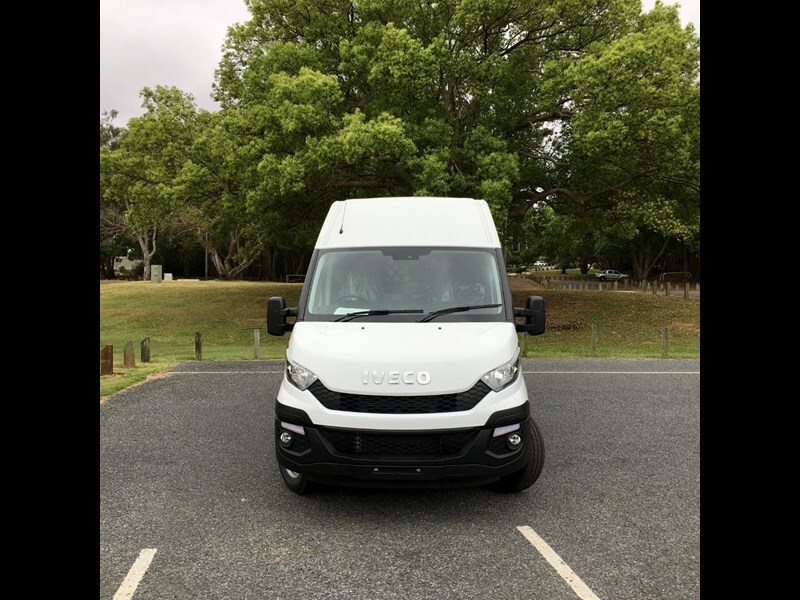 Adding to the braking equation is ABS with EBD (Electronic Brake Force Distribution), while Iveco Hill Holder technology ensures theres no rollback when starting on an incline. 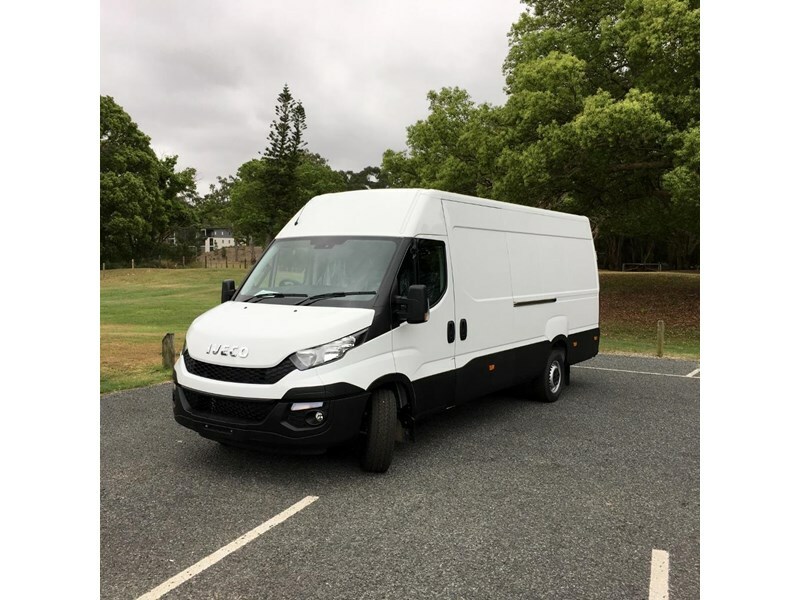 Iveco has maintained the Dailys strong truck-like solid steel C-section chassis. This approach is unique to the new Daily and sets it apart from vans developed with car-derived underpinnings. 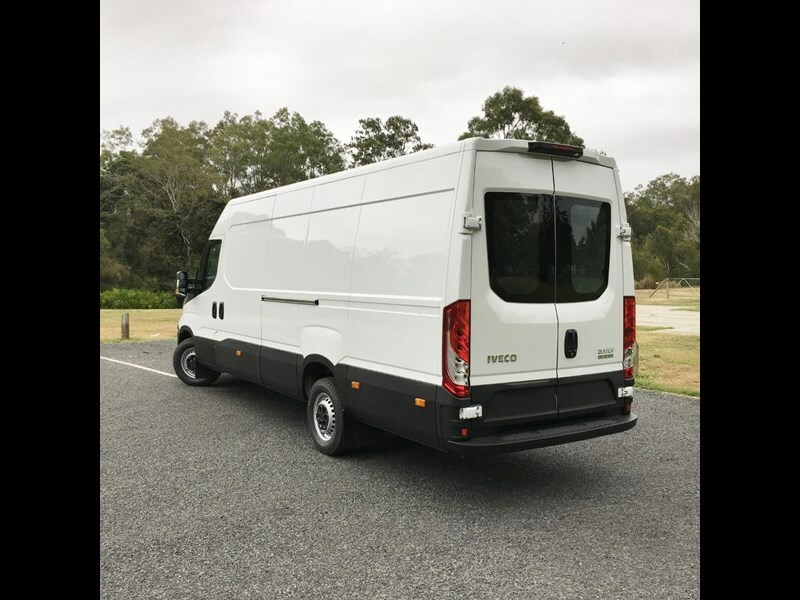 The result is a robust load-bearing chassis that allows for greater load capacities and has made it possible to optimise load-carrying ability across the range. 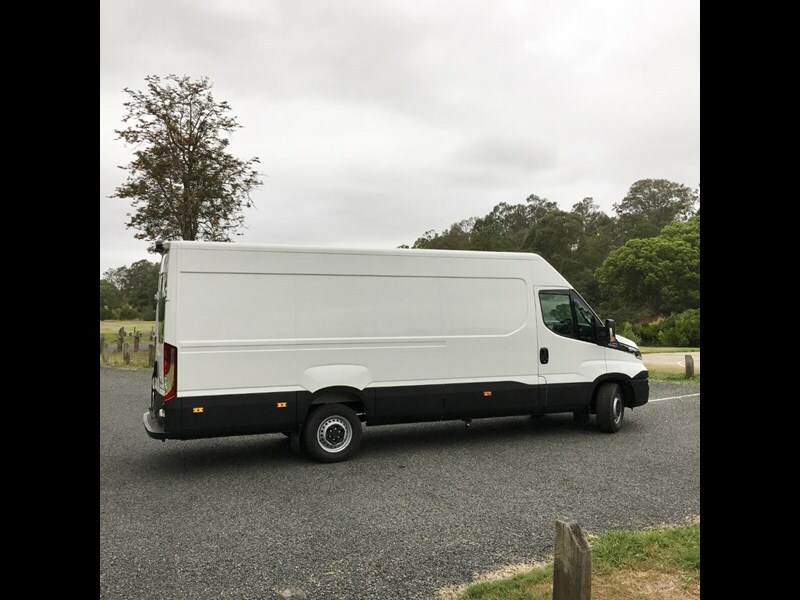 A solid chassis also increases the vehicles durability and makes them suitable for a broader range of applications both in van and cab chassis variants. Demo model with the balance of the 3 year / 200,000km warranty remaining.